Hello all, new Ford guy here just purchased a 2010 King Ranch so far I love it. I replaced all the brakes calipers, rotors etc and alternator. I’m sure this is a Noob question but my knowledge of offset on wheels is not excellent. I currently have mismatched tires on the 20” OEM rims with 275/55s. 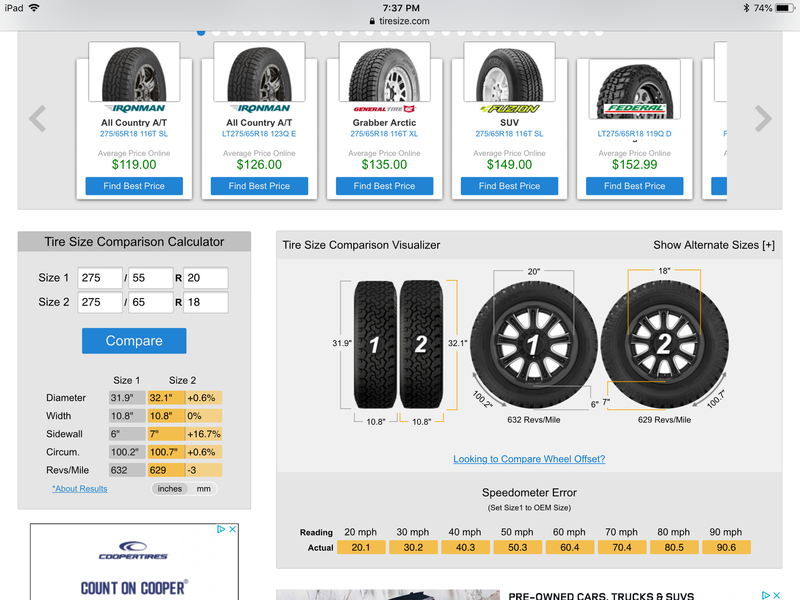 Doing some shopping online and I can’t help myself look at a new wheel tire package without leveling or lifting my truck. I’m curios if a 275/65/18 will fit right without much affect to the speedometer. The wheels I’m looking at either have 0mm offset or 18mm offset and wondering how that would work, sorry for the novice question. Also have never dealt with TPMS as I’ve always owned older vehicles. Did you look at the tire fitment sticky at the top of the forum/? Won’t change your speedo. That is the stock FX4 tire size.